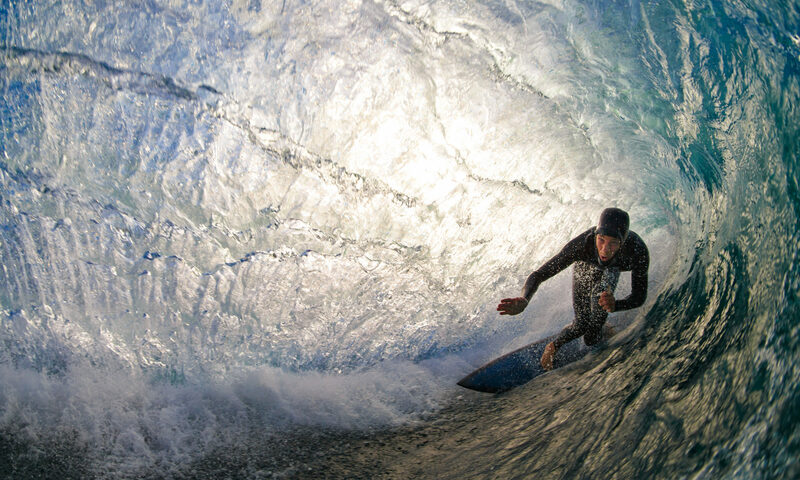 When pro surfers travel, they bring a photographer. You can, too. After all, you’ve probably set up a friend on the beach to shoot, only to have them miss you pulling into a draining pit because they were checking Facebook. We’ll make sure that never happens again. We shoot from the water or land–all in full color, high-resolution detail. Water photography delivers the most dramatic images and unique angles. We’ll shoot your session from the water. 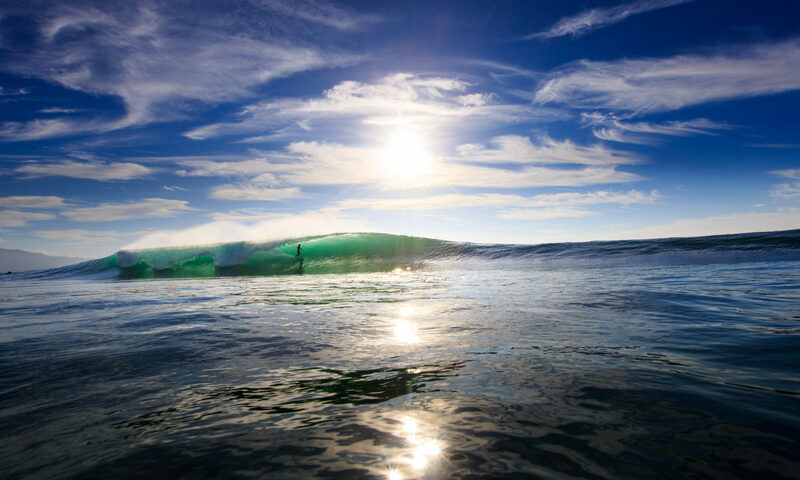 For up to four surfers, $495 + travel expenses for sessions outside San Diego County. Typically, 90 minutes of water shooting will get you anywhere from 50 to 100 images–and many more if you are scoring lots of waves! Contact us to book today. We’ll shoot your session from the beach with highest-quality Canon telephoto lenses. For up to four surfers, $395 + travel expenses for sessions outside San Diego County. Typically, 90 minutes of shooting from the land will get you hundreds of images. Contact us to book today. Contact us with your trip details (where, when, how long) and we will get you a custom price quote. We use professional Canon cameras and L-series lenses with SPL water housings. If you are visiting San Diego, we can make sure you’ve got professional-quality surf photos to show your friends and family back home. We can also be your San Diego surf guide. With 70 miles of coastline, San Diego has hundreds of surf spots. While these options ensure you can pretty much always find a wave to yourself, knowing where to go and when depends on encyclopedic knowledge of tides, swell direction, swell period, winds, and constantly changing bottom conditions. We’ve been surfing San Diego’s coast since the 1970s, so we know where to go and when. We’ve got this place wired! Instead of wasting precious vacation time driving around hoping to stumble upon a wave, we’ll efficiently get you to the best spots to surf and shoot. We book up early, so contact us now to book a surf photo session during your trip to fabulous San Diego. Whether your surf trip takes you to Morocco, Mundaka, or the Mentawais, we can be there to photograph every bottom turn and tube. Your entire group will be able to surf together knowing that a professional photographer is capturing your every wave. You will be free to focus on fun, while we do the work of photographing every carve, wipeout, and smile. For a quote on what it would cost to bring a pro photog on your next surf trip, give us a shout. Hiring a surfing photographer does not end with your surf session. Prices include image editing for clarity, color accuracy, density, and contrast before uploading to a password-protected server. You will be able to download your high resolution images at your convenience. You will also have the option to order framed or unframed prints. For commercial use, multi-day, or multi-session rates, please contact us for a custom quote.